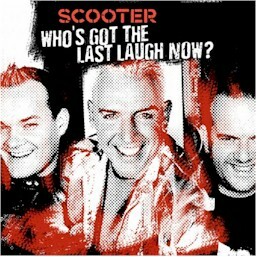 Scooter is a German techno hard dance band founded in 1993 in Hamburg. The first single "Vallée de Larmes" was released in 1994. The Leading Horse" samples; features the (pitched) chorus of Aphrodite's Child's "The Four Horsemen" from the 1971 album 666. The pitched) chorus lyrics by Costas Ferris; the other lyrics: H.P. Baxxter a.k.a. "The Horseman"
Like rappers and the rapper way! He looks like from out of space!